Apparently I lack basic literacy skills. 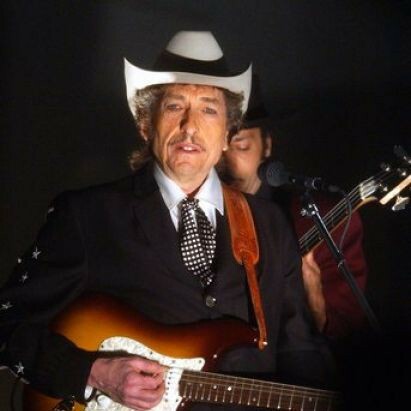 After I posted some thoughts on Bob Dylan’s contributions to Doug Sahm’s third solo album last night, I received a comment from my friend Rusty (who is wise in all things) that I had neglected to mention “Wallflower”, the song (written by Dylan) of Sahm’s where the Dylan presence is most notable. This sent me scrambling back to my websites to figure out how this could have happened. Simple: I don’t read very thoroughly. Bob Dylan played not on one day of Sahm’s recording sessions in October 1972, but on four consecutive days (October 9-12). Well, that certainly changes everything. Dylan participated not on four songs, as I erroneously reported yesterday, but on thirteen. “Wallflower” is a song that Dylan wrote in 1971, but which wasn’t released officially until the first Bootleg Series record came out. A second, alternate, version of Dylan’t version of the song was released last year on the most recent Bootleg Series, Another Self Portrait. This is a pretty good song, and one that, ironically, I’ve recently associated with the great all-female old time band, Uncle Earl, who recorded it in 2007 for their album Waterloo, Tennessee (highly recommended, by the way). Dylan’s version on Bootleg Series 2 is a slow waltz that isn’t very alive or interesting. The version on Another Self Portrait is actually slightly slower, but, I think, slightly more interesting – less produced (mostly just his voice and slide guitar) and simpler. Not great, but better. 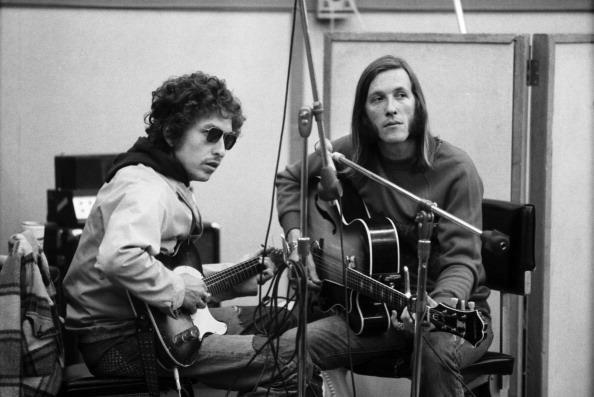 Sahm’s version is similarly paced to the Dylan version, and Dylan sings the chorus with him. Rusty (in his comment) is correct: this is a collaboration much more than is “San Antone”. The other interesting one is “Blues Stay Away From Me”, which has the feeling of a rehearsal track. You can hear Sahm introduce it, urging the band to stick to the same tempo as a previous take. You can hear someone (Dylan?) coughing in the background. And you can hear Dylan and Sahm singing clearly on this. “Blues Stay Away” has the feel of the Basement Tapes, only a bit slicker. It’s nice. Hopefully this is the last time I seriously misread Bjorner’s site, which had all of this information laid out for me, and I just ignored it. On the plus side, it gave me one more thing to write about in a week with not a lot going on!